Do you know what the so-called move over law is? Some drivers were confused when News4 asked them the same question. "I wouldn't have a clue," Amiri Bowman said. "When I hear move over and a law, what would I think it is? I'm just going to say talking about roads, maybe moving over when there's police or fire coming behind me," Jeff Musa said. While many mistakenly think it's to move over when police or first responders are behind you -- it's actually about moving over when an officer is pulled over on the side of the road. The National Law Enforcement Officers Memorial Fund says last year was the deadliest for officers on the side of the road since 2008. "You think about that every day you go to work that you realize you may not come home," Sgt. Josh Brumbaugh, with the Loudoun County Sheriff's Office, said. In his 12 years wearing a badge, Brumbaugh can recall three times he was almost struck. In one case, he said his rear-view mirror saved him. "Had I not actually looked up, he would've collided with me and he was going at least 70 miles an hour. We both would've been killed," he said. 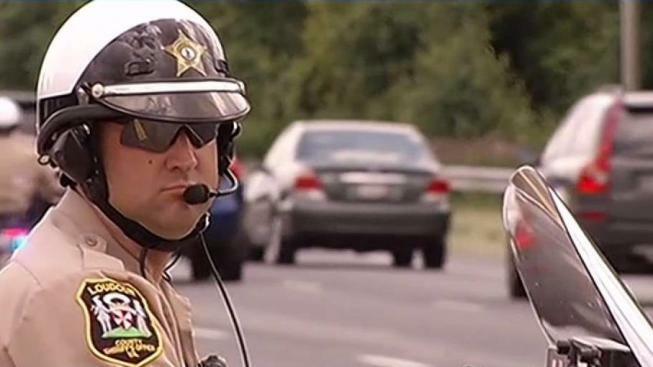 Loudoun County deputies were out on Route 7 Wednesday enforcing the move over law. The Loudoun County Sheriff's Office is among the many law enforcement agencies across the Commonwealth sharing #MoveOverVirginia on social media in June to try to clear the confusion about the law. Some departments are tweeting for drivers to move over for their brother, their wife or their dad. In some cases, traffic is too heavy to move to another lane. "It's not just move over it's slowdown. So if you can't move over because of vehicles on the side of you, just slow down," Loudoun County Sheriff's Deputy Alex Kowalski said. Police said drivers should expect stepped up enforcement on the move over law this summer. The law also applies to road crews, first responders and other drivers who may be stranded.